A good portion of the reading world, including the 2010 Booker Prize jury, finds Harold Jacobson’s now-shortlisted The Finkler Question (a study of three men, two of them Jews, one a major wannabe Jew) hilarious — I found it tedious. Before I read Jacobson, I had ordered Michael Wex’s The Frumkiss Family Business, a novel about three generations of a Jewish family in Toronto by an author whose best-known previous work was titled Born to Kvetch. I confess that when I began this novel I was rather worried that it would confirm my inability to appreciate this kind of humor. Fear not! 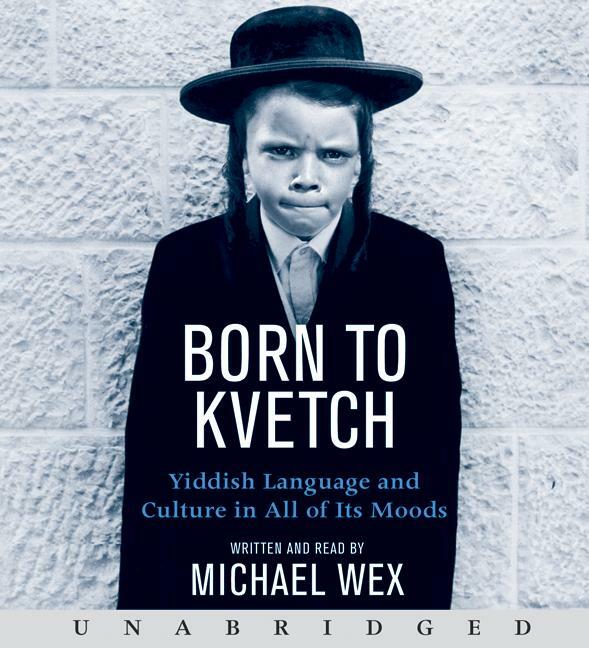 However funny or unfunny Jacobson’s book may be (maybe it just didn’t hit my funny bone), this Canadian-authored entry into the world of Yiddish humour had me chuckling, laughing and sometimes roaring from start to finish. …back in Poland two years later, he published his first novel, anonymously and at his own expense. A contemporary critic described Memoirs of Jesus’ Moyel, the man who circumcised Christ, as “the first plea for a pogrom ever to have been issued in Yiddish.” It was condemned by the government, forget about the church, and not a single copy is known to have survived. Those who saw it — and there were plenty — said that it was a virtual encyclopedia of foreskin jokes and anti-Christian slurs, including a number invented by Faktor himself, all of it presented as the after-dinner speeches from the banquet portion of Jesus’ circumcision. The Nazarene’s foreskin was described as broad, leathery and marked with the sign of the cross; no matter how often the narrative sliced it off, it grew back again in a very few minutes, which is why he was able to make so many speeches. Faktor becomes a major factor (sorry) in Yiddish culture, contemptuously dubbed later as “the Soupy Sales of Yiddish literature” by one jealous rival, and is well-known for a variety of works including his first and greatest musical hit “Dem Pogromtshiks Viglid”, The Pogromist’s Lullaby. It was inspired by a Yiddish actress (Temke in Yiddish, known as Tammy the Fishing Rod due to her a) large bust and b) slender everything else). He not only writes Yiddish plays, he marries Temke and fathers his first child; is heartbroken when Tammy dies suddenly. Having survived the Holocaust and the war in Europe, the disconsolate Faktor emigrates to Toronto in 1947 where his future is taken in hand by the woman who will become his second wife — Chana, known to Gentile Toronto as Mrs. Aubrey from the very fancy china shop she owns and runs (it was set up under her first husband’s name and benefited from his society connections — she sees no reason to abandon either after his death and her remarriage). Manipulating her connections to perfection, Mrs. Aubrey finds Faktor work at the CBC on a children’s show: “The character that Faktor played on The New Curiosity Shop, an ill-tempered, verse-spouting puppet called Yankee Gallstone, was a dodo bird whose white hair and horn-rimmed glasses had been modelled on Glashteyn” (the critic who had come up with the Soupy Sales tag). From here on in, The Frumkiss Family Business is about the succeeding Faktor generations and how they relate to the great Yiddish poet, fondly known to generations of Canadian children as the dodo-bird puppet, Yankee Goldstone. If you grew up Canadian and are now thinking of The Friendly Giant, you are on the same page as I am. Earl Frumkiss, who lends his name to the title, is not one of Faktor’s children. He marries the patriarch’s first daughter, named Tammy after her mother; is Canada’s best-known podiatrist (founder and owner of the Frumkiss Family Foot Care Clinic, famous for its television ads featuring the founder) and fathers the third generation of Faktors — Vanessa and the twins, Randall and Rachel — who will carry the bulk of the novel from here on. Factor and Chana bought them a custom-built house in the fanciest part of the nearly all-Jewish enclave known as Bathurst Manor: the far east end of Blue Forest Drive right next to the entrance to the day camp in the valley. The valley is really a ravine, but ravine must have sounded too Jewish. With their indoor and outdoor pools and a billiard room, with pool tables, cues and pool-room lighting on the lower level, the Frumkisses didn’t need any stinking day camp. Rachel’s first period came in the middle of a school day and Vanessa made sure that the whole class found out. “She wasn’t even wearing a Kotex. She’s spreading her cooties all over the building.” Cooties, the Rachnik’s cooties, became a big thing in that tiny junior high. Kids wouldn’t sit at a desk or a bench that she’d just got up from; they developed elaborate purification rituals centred around punches and pinches to cleanse themselves of any inadvertent physical contact with her. Vanessa got six of her biggest fans to sing a song she wrote to the tune of “I Will Survive,” “Rach makes me retch”. All of that is just set up, of course. By the time the novel gets to the present day, Vanessa has morphed through a number of roles (she’s stunningly beautiful to considerable advantage in them all) and is married to a rabbi in Israel, although as its prime fund-raiser in North America, she is responsible for the viability of the strict sect that he leads. Introverted Randall is a stand-up Yiddish comedian (geriatric stags are his most lucrative form of gig) with “nothing to lose”, with a partner who wants to get into writing children’s television shows (alas, she and Faktor don’t get along). Rachel has settled into Bathurst Manor as a proper repressed housewife, never fully recovered from grade seven; husband Howie is “the Man” when it comes to bankruptcy at the accounting firm where he is vice-president. Faktor, meanwhile, has acquired a potential biographer who is very, very interested in his notebooks (written in Yiddish) which offer the prospect of establishing the manipulative accolyte as a pre-eminent Yiddish scholar. Chana, at 90, is more than prepared for her turn at centre stage as the grieving widow. And then Faktor finally dies, bringing all these characters and their peculiarities together for a vaudeville-like series of encounters, most centred around preparations for, performance of and follow-up to his funeral. Wex has been very funny all along the way but he does save the best for the last — and it is an extended “last”. Okay, the novel does have many stereotypes and cliches, but the author’s tongue is tucked so firmly in his cheek that I accepted them willingly. Wex has a rare ability to plant an understandable aspect of sympathetic humanity in every one of his otherwise mutilated characters — and they alternate between the despairingly likable and incredibly grotesque as the action unfolds. Honesty in reviewing requires that I acknowledge that I am not sure just how long I will remember all aspects of The Frumkiss Family Business. While it does have a central story, in many ways the book is a collection of incidents that flow continuously from one to the other — and I am certain that a number of those incidents will keep coming back to mind. If you are looking for some escapist reading that is totally irreverant and very, very funny, you could do a lot worse than picking up a copy of Wex’s book. Finally, permit me an indulgence. The author was not very well served by the cover designer of this novel, but he was brilliantly served by the designer of Born to Kvetch. Have a look at that (this version is from the audio book, read by Wex himself), and you will see a visual representation of the kind of humor that Michael Wex brings to the printed page. My thanks to author Linda Grant, who drew my attention to this cover when I mentioned The Frumkiss Family Business on another blog. This also gives me the opportunity to recommend Grant’s The Clothes on Their Backs, shortlisted (and my favorite) for the 2008 Booker Prize. Her far more serious and literary novel also features an extended family of Jewish refugees, in London rather than Toronto — if you are looking for a serious counterpoint to Wex’s irreverance, it fits the bill.